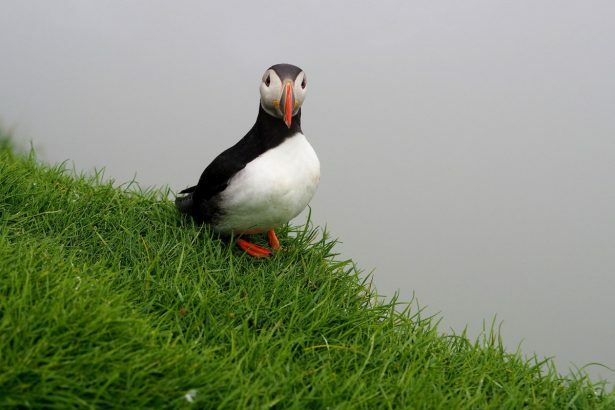 On the Faroe Islands, Parliament has introduced marriage for all. 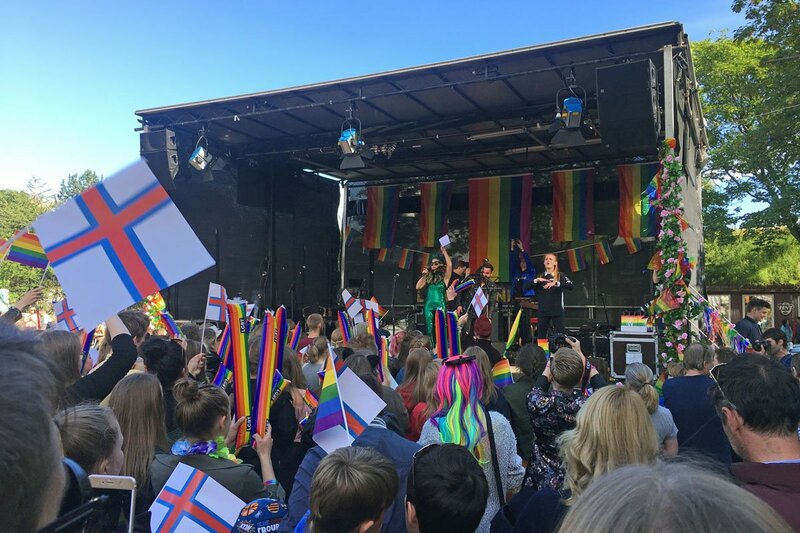 With a happy Pride the small queer community of the archipelago between Norway and Iceland celebrates the liberalisation of society. In Tórshavn, the small capital of the Faroe Islands, everyone has dressed up today. The men in shirt and tie, red, often elaborately embroidered vest, traditional jacket with numerous golden buttons and trousers that reach to just below the knee. Underneath, the thick, dark woolen socks emphasize the calves. The women appear in skirts, usually in dark red or green, often striped lengthwise with black. The top is artfully made of wool, a cape protects against cold and rain. In fact, Ólavsøka, the venerable national holiday celebrated for 48 hours at the end of July, is more than just a state ceremony. 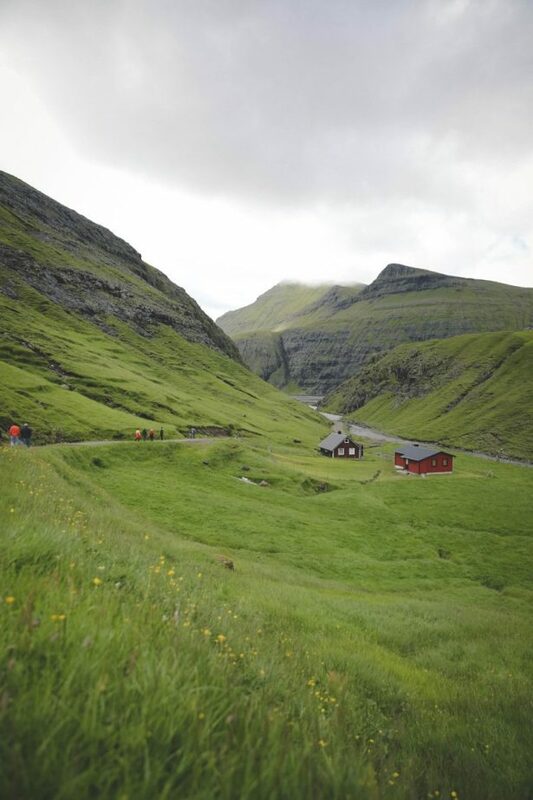 At the same time it is an event with which the Faroese themselves can celebrate themselves. At the sports festival, for example, where the youth of the 18 islands present themselves with music and applause from those present in the central square of Tórshavn. Rowing competitions are on the program, at the harbor chapels play to the dance. Proud carpenters launch newly built wooden boats for the first time greeted by big cheer of the bystanders. 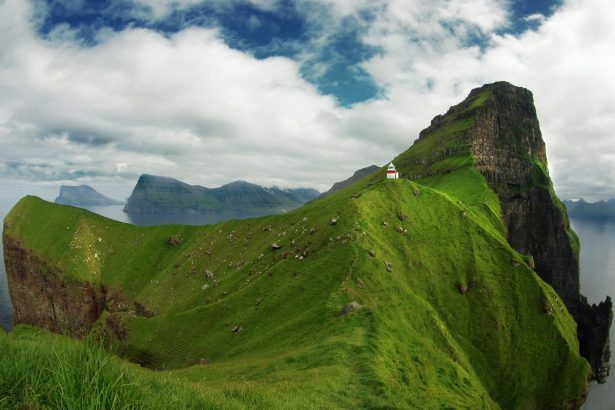 In fact, the Faroe Islands, with their approximately 50,000 inhabitants, also have a lot of individuality. 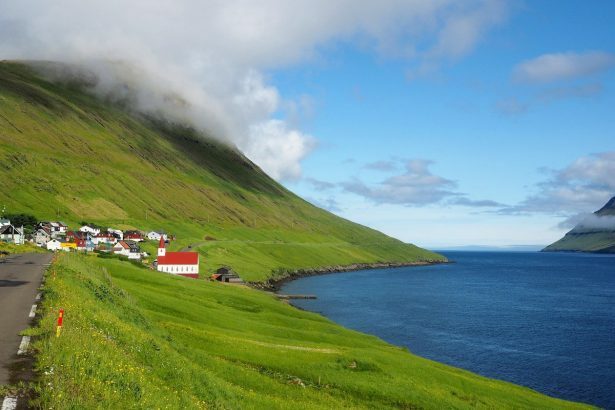 The sparsely populated archipelago is internationally known for its spectacular nature. 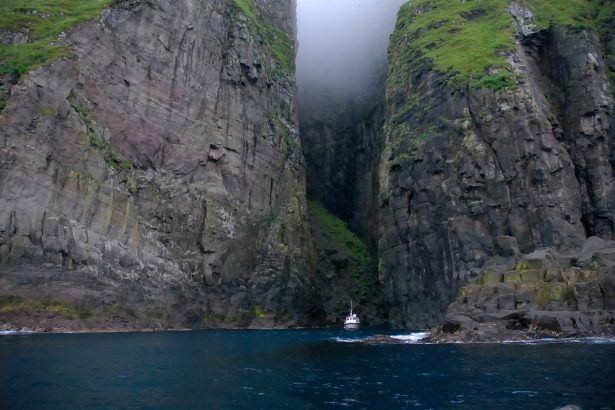 Steep cliffs suddenly falling hundreds of feet into the dark ocean. Elongated, deep valleys whose slopes are beautifully overgrown with grasses and mosses. 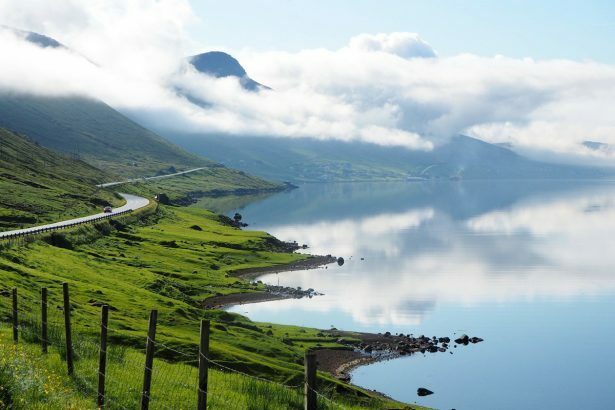 Fjords and Sounds, whose interplay of ocean, mountains and coasts takes your breath away. The balanced climate in the middle of the Gulf Stream ensures cool summers and mild winters. Hardly a day passes without light rain, but if you bring a weatherproof jacket and outdoor shoes with you, outside the settlements you will experience countless small and large waterfalls that look as if they were flowing down from the clouds themselves. 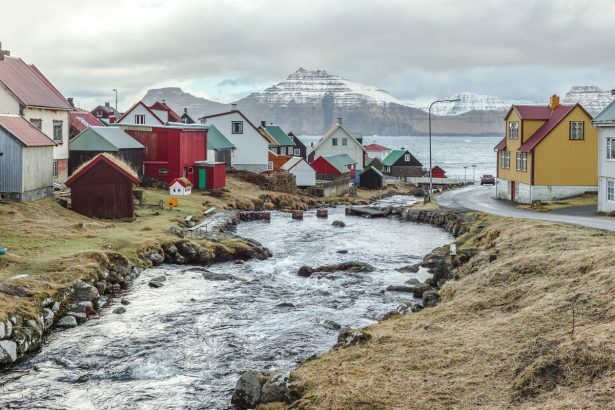 Who does not live in Tórshavn, with 15,000 inhabitants the only city of the Faroe Islands, lives mainly in small villages. The social pressure and control are comparatively high there, until a few years ago, hardly a gay dared to finally come out. 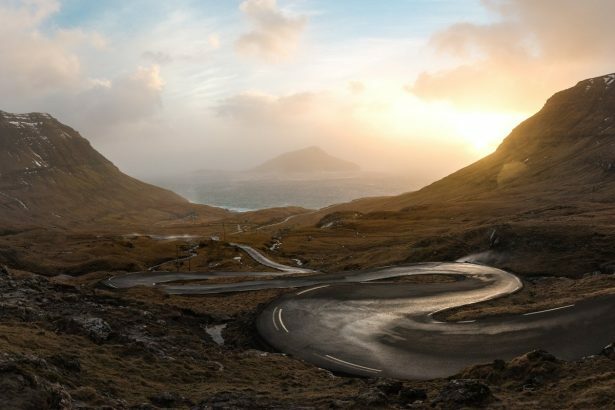 International blogs have sometimes described the capital’s remote, more rural northern areas of the islands as if they were Afghanistan under the rule of the Taliban. An exaggeration that hides a true core. As late as 2010, a member of parliament made for a scandal when he refused to attend a dinner in honor of a state guest, the Icelandic Prime Minister Jóhanna Sigurðardóttir namely. His reasoning: you live with a woman. 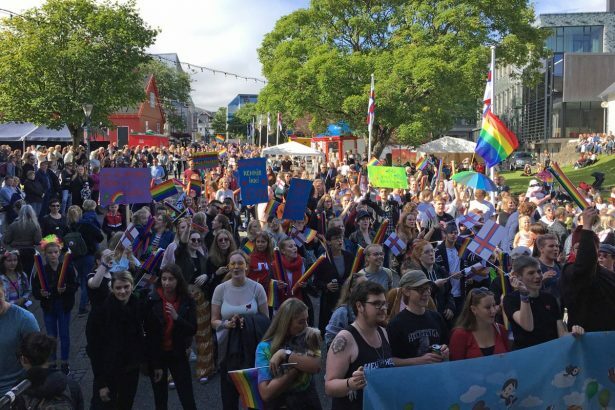 “The anti-discrimination law had to be introduced several times in this Parliament until it was finally adopted,” recalls Pride organizer Eiler. But those times are bygone. The now former head of government Sigurðardóttir is guest of honor at the current Pride, her wife has just written an autobiography and presents it to the public – and the notorious deputy is no longer much heard about. 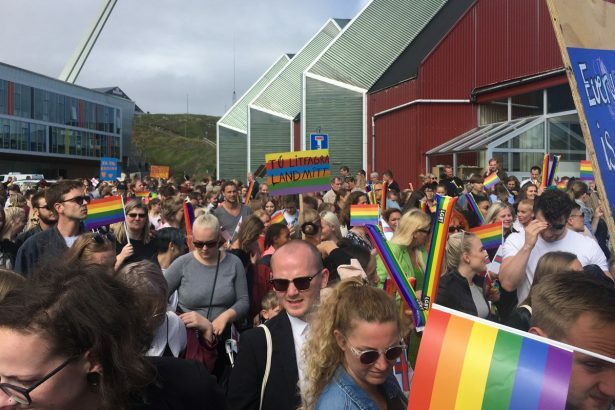 Just a few days before Pride and Ólavsøka, the Faroe Islands also opened the marriage for gays and lesbians. Not only the small LGBT community benefits from these reforms, but society as a whole, Eiler is convinced. “People want to live in a place that is liberal and that attracts young and creative people. 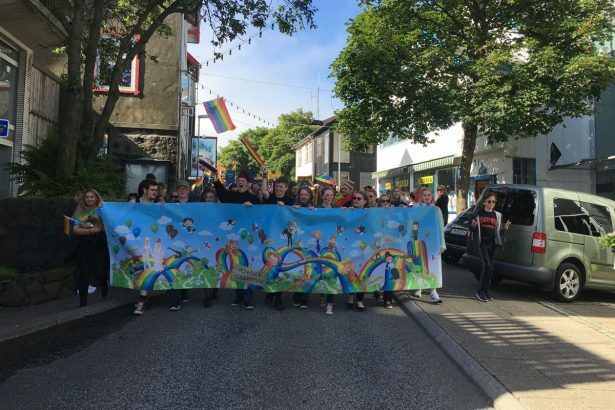 That’s why events like the Pride also strengthen those who previously had the feeling that they could no longer breathe in the Faroes. “That would actually be a positive development, as the islands had suffered for decades from the emigration of their youth. 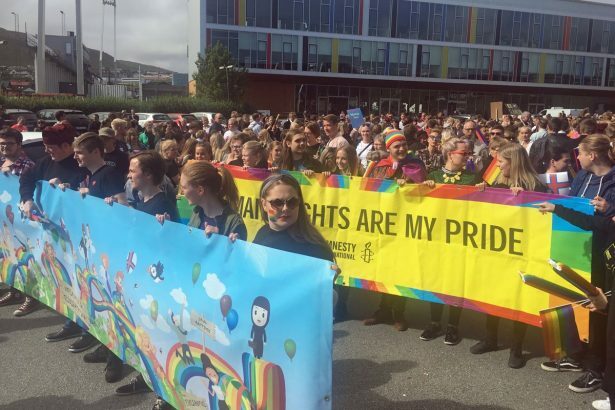 With their commitment, the small queer civil rights movement and its allies have modernised the society of the Faroe Islands within a very short time. To celebrate this success they have a good time!